Going Dark – Dark Social: What is it? Dark Social defined. Think dark energy. The term “dark social” was coined in 2012 by The Atlantic editor Alexis C. Madrigal in his article “Dark Social: We Have The Whole History of the Web Wrong” referring to social interactions that can’t be publicly tracked through web analytics programs. His use of the term is a reference to the scientific term “dark matter” or “dark energy,” defined as a hypothetical form of energy that permeates all space and accelerates the expansion of the universe. Think “off the grid,” a phrase referencing not being dependent on public utilities. The “grid” now references public social platforms that users are shifting away from in favor of directly sharing with their connections. You likely engage in Dark Social all the time. 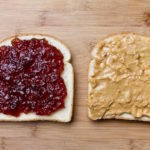 If you read an article like this one and shared the link by emailing or texting it to a friend rather than using one of the social sharing tools below that is Dark Social. The social media app SnapChat is structured to interact with your personal connections directly one-to-one on their platform, sending photos and short videos directly to a friend or family member. Since the term was defined, there has been considerable movement across all ages groups and demographics to limit public access to their social engagement and use of social media. 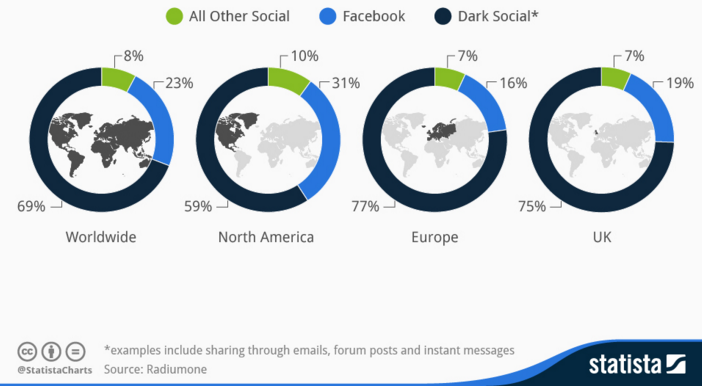 According to a RadiumOne study, almost 70% of all online referrals come from Dark Social. Reasons for Dark Social trending include a desire to limit online marketing, greater personal privacy, and more truly personal social interactions directly with the person you are sharing. 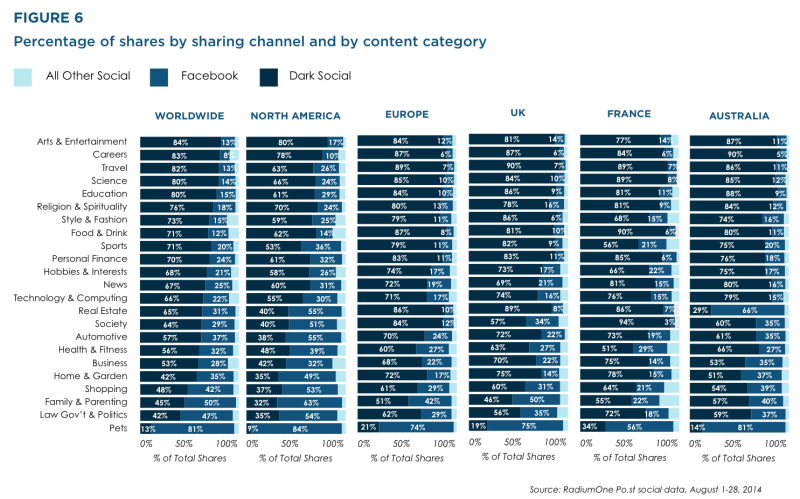 Dark Social far outweighs all other public social media sharing according to the study. See the percent of dark social to traditional social media below. “Now that I am informed, what is the impact of Dark Social?” you might ask. Dark Social is a reality and was present long before the term was coined in 2012. Friends and colleagues will tell me all the time “You have to see [insert funny video, informative process, great recipe, etc.]! Visit [insert website here] and search for [insert name of video or title here].” While that is the definition of sharing, there is no way to track that social interaction on social media. For original digital content, the awareness of dark social and its impact on digital marketing adds to already complex analytics for referral attribution. But take heart, while attribution becomes an issue with Dark Social, website traffic visits are still recorded, meaning you still get credit!